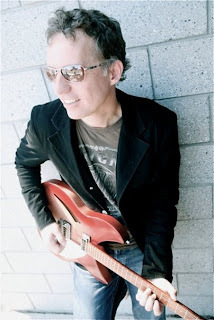 Philip Vandermost of Laguna Niguel, seen here in a recent photo, will perform songs from his solo debut, "Automatic August," when he plays a trio of dates over the next month at Mahé in Dana Point. Area audiences are quickly becoming familiar with singer-songwriter Philip Vandermost. The Laguna Niguel resident celebrated the release of his commercial debut with an appearance as part of the acclaimed International Pop Overthrow music festival in Huntington Beach in July 2008, and he headlined at Mahé in Dana Point on New Year's Eve to kick off 2009. He returns to Mahé Friday (Feb. 27, 2009) to perform songs from his 10-song solo debut, "Automatic August," as well as classic material from other artists. The album features a wealth of material, from the hard-rocking, melodic "Speak to Me" to the power-pop-mining "Because" to the R.E.M.-meets-Carbon Leaf "Drifting." "Most of the bands I listen to can be traced back to the three B's: the Beatles, the Beach Boys and the Byrds," said Vandermost, noting that all three of those legendary bands used a combination of guitars and vocals to forge an original sound rooted in strong songwriting. Vandermost was a celebrated lead guitar player in Greenwich Meantime, the Kelly Bowlin Band and the George Fryer Combo. Vandermost said a combination of factors led him to strike out on a solo career last year. "The main thing, being a support player even in a creative capacity, I didn't have a lot to show for the time I've been playing music," Vandermost said. "The other thing, I needed to cut back on live performances. My family is very important to me." Vandermost is married and has two young daughters. "Automatic August" was recorded, mixed and mastered between February and April last year. "This is a fun transition," Vandermost said of his new solo career. "I get to handle the creative and the business sides." Vandermost and his band will perform at Mahé, 24961 Dana Point Harbor Drive, Dana Point from 7-11 p.m. on Fridays, Feb. 27 and again on March 27. Vandermost will perform solo at the venue on Wednesday evening, March 11. For more information, call 949-240-6243. Nils Lofgren, seen here in an updated photo, got his start as a teenager, playing guitar with Neil Young. Last year he recorded an album of Young cover songs. The following story was posted on the Orange County Register Web site on Wednesday, Jan. 28, 2009. 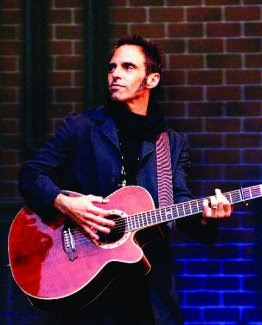 Nils Lofgren is one of the most celebrated guitar players in rock, having played on Neil Young's seminal 1970 album "After the Gold Rush" while he was still in his teens. Then after a brief stint with Young's hard-rocking Crazy Horse, Lofgren fronted Grin, which released four critically-acclaimed albums in the early 1970s. This year marks Lofgren's 25th year as a full-time member of Bruce Springsteen's E Street Band. While that famous outfit was on hiatus in the early 1990s, Lofgren toured with Ringo Starr and his All-Starr Band (a troupe that also included the Eagles' Timothy B. Schmit and Joe Walsh, as well as Todd Rundgren). Since his 1975 self-titled debut, Lofgren has issued a number of strong solo works, the most recent being "The Loner – Nils Sings Neil," a 2008 release where Lofgren revisited 15 classic cuts by his long-time friend Young. "I would have never thought of it; it was my manager Anson Smith," Lofgren said in a Friday, Jan. 23, 2009 phone interview. "He suggested I sing my favorite Neil Young songs acoustically. "I wasn't sure I liked the idea, but we assembled about 30 songs and I spent a couple weeks just singing them in the mornings mostly, to my dogs and cats – not recording, not arranging, not producing, just singing. "And I noticed after a couple weeks a handful stopped sounding like decent karaoke (versions) and started feeling something special that was more my own, and it was at that point I decided to do it," Lofgren said. It took a combination of hard work and creativity for Lofgren to complete the CD during the E Street Band tour last year. "I'm also such a fan of Neil's that I really felt there was no chance of it being a special record unless each performance was completely live with no (additional) production or overdubbing; just one instrument, one voice," Lofgren said. "And so with that as the guidelines I went into the studio and in a very short period of time – I was looking for 10 or 12 songs and I got 15 that felt right. Billy Wolf (of Wolf Productions), a great engineer friend of mine, mixed them up with me while I was on the Springsteen tour. "And the D-18 guitar was what I used on the 'After the Gold Rush' project when I did not own an acoustic guitar," Lofgren said. "Neil Young lent his Martin to me, and gave it to me as a gift at the end of the sessions, which of course is my most treasured guitar and certainly the only one appropriate for this project." Both the 2008 tour and recording of "The Loner" came while Lofgren was in a tremendous amount of pain. On Sept. 30, 2008, he flew to New York and had double hip replacement surgery. His appearance during the Super Bowl halftime show in Tampa on Sunday will be his first public performance since that procedure. "Forty years on the road, a lot of them doing the back flip with the trampoline and jumping off drum risers; an enormous amount of basketball on city cement courts, I just tore my hips apart," Lofgren explained. "The last 15 years they went bad, and finally over the last few years they were bone on bone and the doctors said there is nothing we can do for you except a complete replacement," he said. "I put it off a long time. Finally, it got so bad that I found a great surgeon in New York who was willing to do both at the same time and it was very successful. "Now it's my job to rehab. I hope if I just keep doing my rehab right for the next 8 to 10 months, I'll be back to normal – well as normal as you can be with fake hips – I'm walking around and doing okay." On Super Bowl Sunday, Lofgren and the rest of the E Street Band will likely be performing a mix of classic cuts, as well as material off Springsteen's newly-released "Working on a Dream." Lofgren said the final set list is something that will be decided by the Boss right before the highly-anticipated appearance. The highly-publicized concert at the Super Bowl also provided Lofgren the perfect opportunity to reissue his 2001 effort, "Tuff Stuff! The Best of the All-Madden Team Band," which features Lofgren performing a number of blistering instrumental tracks. Lofgren was born in Chicago in 1951, but it was a move to the Washington, D.C. area as a teenager that ultimately provided him with the inspiration that has served him over the past four decades. "Actually, I fell in love with the sound of harmonics," said Lofgren, who has lived in Arizona since the mid-1990s. "Roy Buchanan, was a hero of mine in D.C. growing up, and I got to know Roy and went to see him play a lot and got to play with him a bit. He was the first person I heard who made harmonics sound like bells. "He showed me how to do it with a flat pick and I don't play with a flat pick," he said. "So I figured out my own style with the thumb pick, and created something called bouncing harmonics where they kind of shimmer and bounce. "And that's really where I was inspired and fell in love with that sound…way back in the mid '60s." Because I have posted this story on my blog after the Super Bowl performance, I can note here that Nils did a great job and looked in fine form despite his surgery in late 2008. I'm sure he will be firing on all sonic cylinders when the E Street Band is out on tour beginning in April 2009. This story was originally posted on the Orange County Register Web site on Monday, Feb. 2, 2009. Although Buddy Holly's impact on rock was seemingly immortalized by Don McLean as "The day the music died" in 1971's "American Pie," there has been mostly silence from the rock community in connection with the upcoming 50th anniversary of his death. The notable exception is Smithereens lead singer Pat DiNizio (seen in the photo here), who released his 11-song "Pat DiNizio/Buddy Holly" tribute to early rock's most influential songwriter on Jan. 27, 2009. And while the Smithereens are known for a Beatles meets A/C blend approach where melodic songs are layered amid crunchy guitars on cuts such as "Blood and Roses," "Only a Memory" and "A Girl Like You," DiNizio's tribute to Holly features mostly his voice and acoustic guitar set against artful new string arrangements delivered by the Encore Chamber String Quartet. "I wanted to make the album you wouldn't expect me to make; people were expecting a straight-up rock 'n' roll album, you know what I mean? That would have been the easy route," DiNizio explained in a phone interview conducted on Friday, Jan. 30, 2009. "This was a little more difficult, a little more thought-provoking, and a little more emotional and the sort of album Buddy might have done himself at this time (2009)." Holly was only 22 when he was killed in a single-engine plane crash early on the morning of Feb. 3, 1959. Also killed in the crash were Ritchie Valens and J.P. "The Big Bopper" Richardson and 21-year-old pilot Roger Peterson. The three artists had performed just hours earlier at the Surf Ballroom in Clear Lake, Iowa. "I wanted to let the world know that without Buddy there might not have been the Beatles, and without the Beatles there wouldn't be much of anything else that we love," DiNizio said. Although Holly's success only lasted about 18 months, he had a profound impact on those who followed. An original songwriter with a distinctive style of singing and equally innovative style of playing rhythm and lead guitar, the Texas rocker influenced the Fab Four, Rolling Stones and Bob Dylan, among many others. Indeed, a young Dylan attended a Holly concert on Jan. 31, 1959. "I am shocked frankly that I am the only one to put out a tribute (this year)," said DiNizio, noted that in the week leading up to the anniversary much more was being made about Bruce Springsteen's upcoming performance at the Super Bowl than a serious reflection on Holly's contributions. "The Super Bowl means nothing (in the big historical picture). God bless Bruce, he's a great guy, but it's (just) another album," DiNizio said of Springsteen's "Working on a Dream," released on the same date of his Holly tribute. "I'm really shocked that Bruce put this album out on the 50th anniversary. With me, it's totally appropriate, because it's the right thing to do on the 50th anniversary and put it out on the 50th anniversary, not six months later, but on the date. I'm absolutely shocked that nobody (else) has done anything." For his part, DiNizio has clearly let his love for Holly's legacy provide a fitting gift for fans of Holly, and DiNizio. 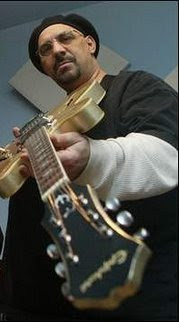 Highlights include a reworked "Raining in My Heart" that captures the theme of loss vividly, an a cappella approach on the doo wop-styled "That'll Be The Day" and this writer's favorite, a haunting "Well Alright" where DiNizio's rich baritone is used to pull new emotions out of the Holly classic. DiNizio is encouraged that a number of activities set in Clear Lake, including a sold-out concert at the Surf Ballroom where Holly gave his final concert on Feb. 2, 1959, are have drawn people from around the world to venture to the small town in northern Iowa to honor the fallen rocker. "Hopefully it will be a celebration, it won't be a funeral," DiNizio said of events in Clear Lake in connection with the anniversary. "My record is a celebration of the life of Buddy. That's really what it is."